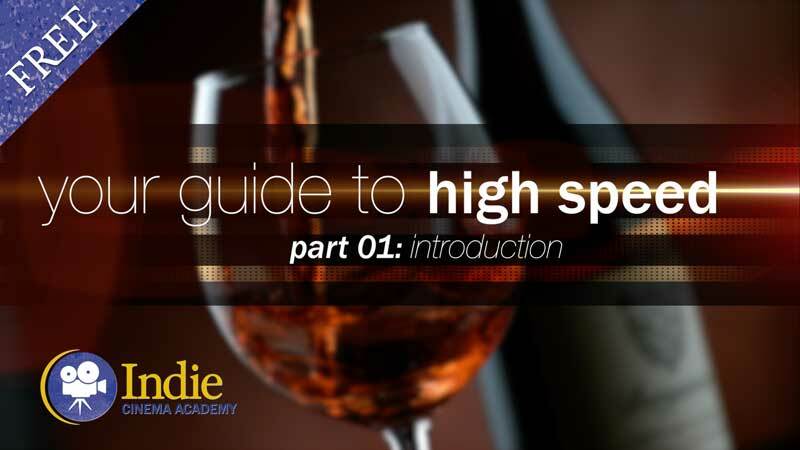 Summary: Shooting high speed video is not quite as straightforward as a regular speed shoot. 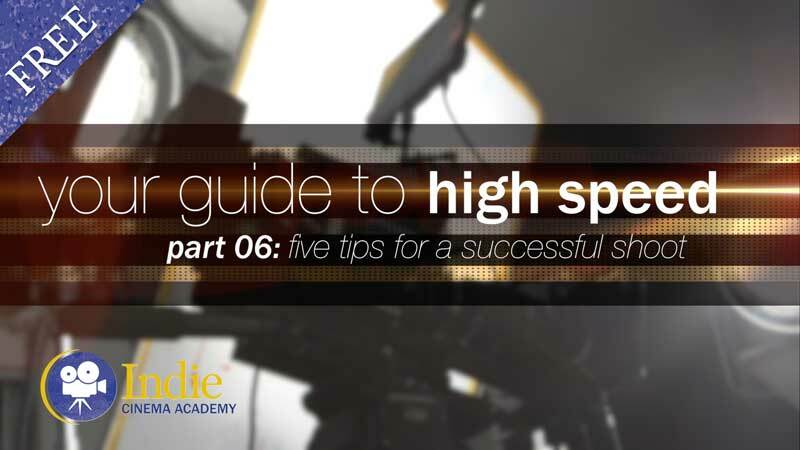 By following these five tips you’ll not only walk away with great looking footage, but you’ll stay on schedule: use a high speed technician, essential high speed accessories, black balance the camera, schedule additional time for the shoot, and consider post-production workflow before you shoot. 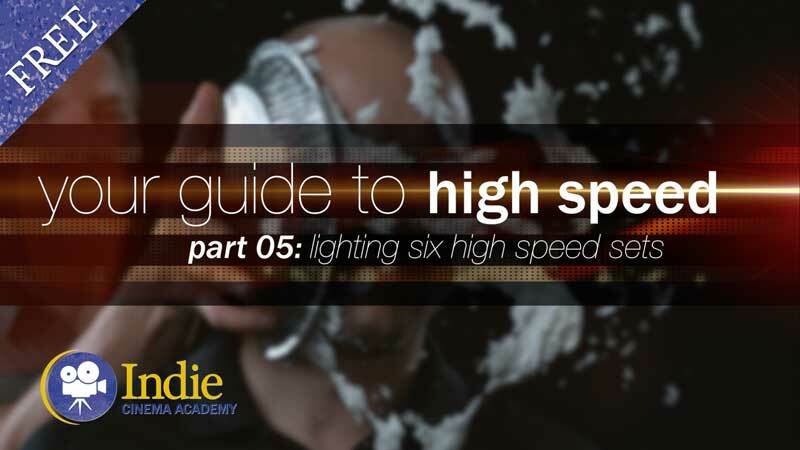 Now that you know the lighting and technical considerations that go into shooting at high speed, it’s time to cover the five tips that will help you be successful on your next high speed shoot. I again want to thank Via Films for helping us make this series a reality. Cause quite frankly, it wouldn’t have happened without their help. Top of the line high speed camera like the Phantom can cost as much as a house–seriously! It is a finely tuned, precision built supercomputer with a sensor and a lens. 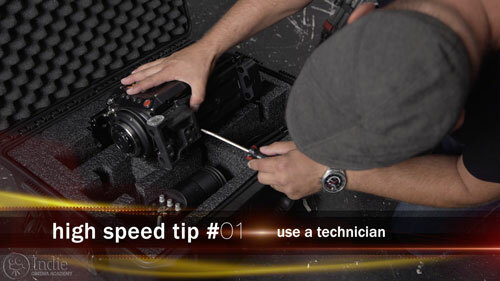 To ensure a successful shoot, most rental houses will send out a certified technician to accompany the camera. 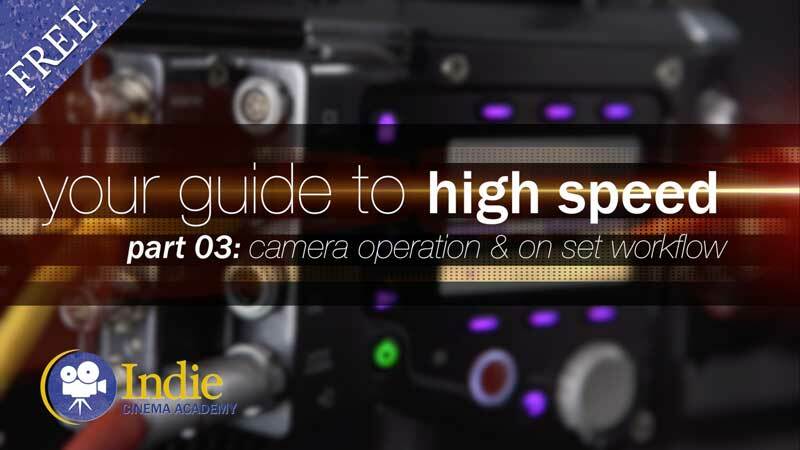 It is the job of the high speed technician to be so familiar with the camera that they can handle any issue that could arise during a shoot, along with knowing how to manage the shots, the memory, and the storage space. 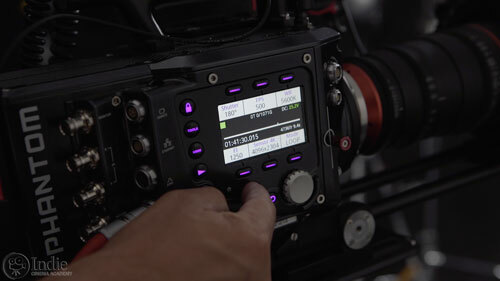 By handing off these responsibility from the DP or cinematographer, the DP can focus on lighting the set and working with the director rather than getting bogged down in tech issues. So we strongly recommend taking the rental house up on supplying one. There are more important things that the DP and director should be focused on than the details we’re about to cover. 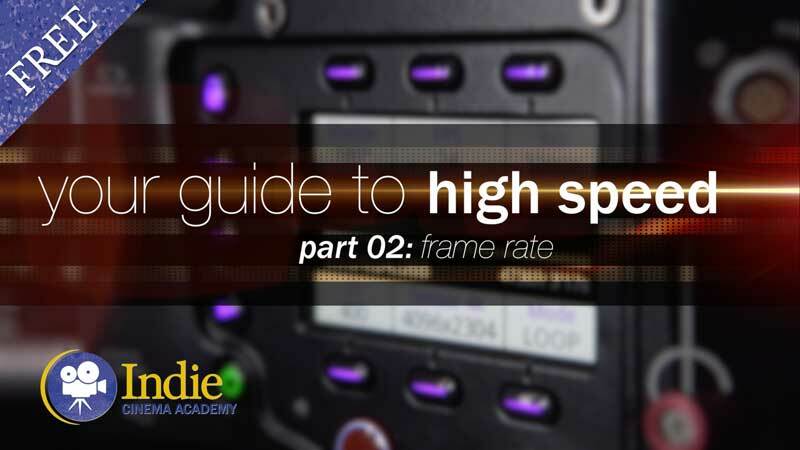 Most high frame rate cameras are very similar to their non-high speed counterparts. They have similar form factor and they can take most of the same accessories, like matte boxes, follow focuses, and monitors. 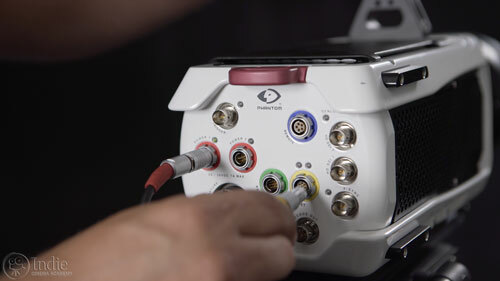 But there are two unique accessories to the Phantom camera: the trigger switch and the ethernet cable. 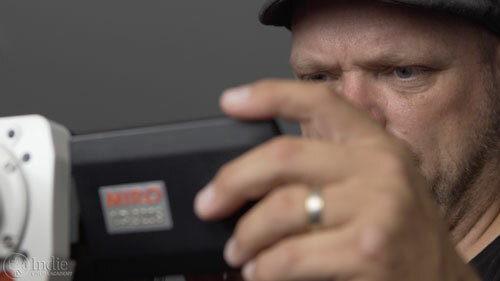 The trigger switch is an external switch that plugs into the camera for remote triggering. It’s necessary since sometimes the camera needs to be in an unusual place, or the ability to have a hand trigger can allow you more precise control of the camera. Remember: at high speeds, even a delay of one second can mean the difference of getting the shot or not. The ethernet cable serves two purposes. 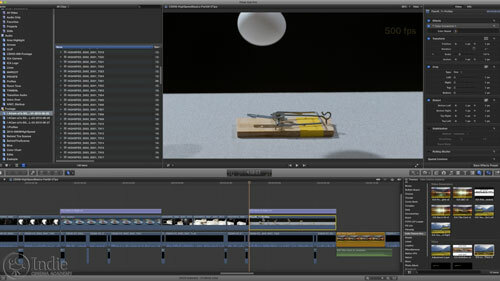 First, as we mentioned in the lesson on workflow, it allows you to record footage directly to a computer. The other reason is that you can remotely control the camera along with all of its settings. 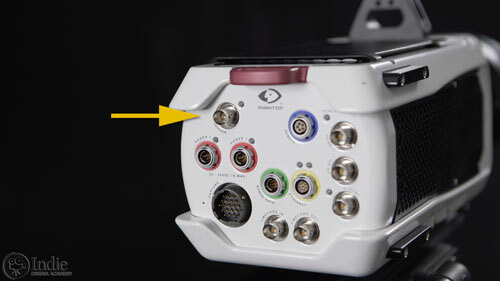 In fact, some of the high speed cameras like the v711 can only be controlled via an ethernet connection to a computer. If you will be using an ethernet cable to tether the camera to your computer, we highly recommend having multiple lengths of cable to ensure you can comfortably connect from wherever you set up your computer. 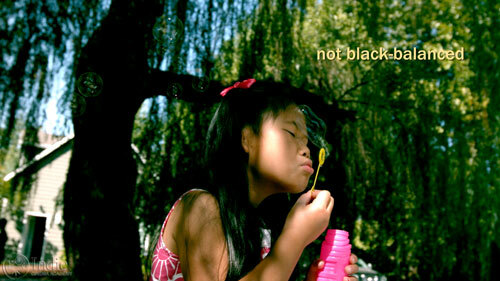 Once your camera is built and ready to go, it is critical to black balance it. 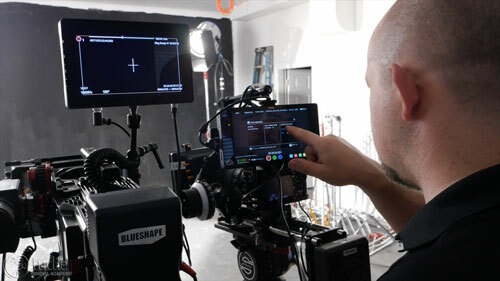 While most high end cinema cameras need to be black balanced, it is especially important to black balance high frame rate cameras due to the sensitivity of their sensors. If you don’t take the time to black balance, not only can your footage look noisy, but the colors can actually be significantly off giving you unsightly footage. Specific best practices for black balancing your camera will depend on the camera you are using. In general, it is best to let the camera warm up in the same environment where you will be shooting and be on for 30 minutes prior to black balancing. This warm-up time acclimates the sensor and helps it get to its optimal operating temperature. Once at this temperature, black balancing the sensor will give you the cleanest and most accurate images the camera can deliver. If you rush this process or skip it, well, the results will be less than acceptable. Most of the new high speed cameras offer automatic black balancing, which I wholeheartedly welcome. Older cameras not only require manually black balancing, but they also require you to black balance in-between shots as well as when you change camera settings like your frame rate. Again, having a dedicated high speed technician on-set means these types of things will be taken care of for you so that you can focus on the shoot. 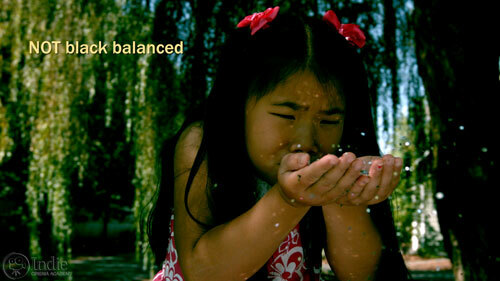 Once your camera is properly built, balanced, and black balanced it’s time to start filming. 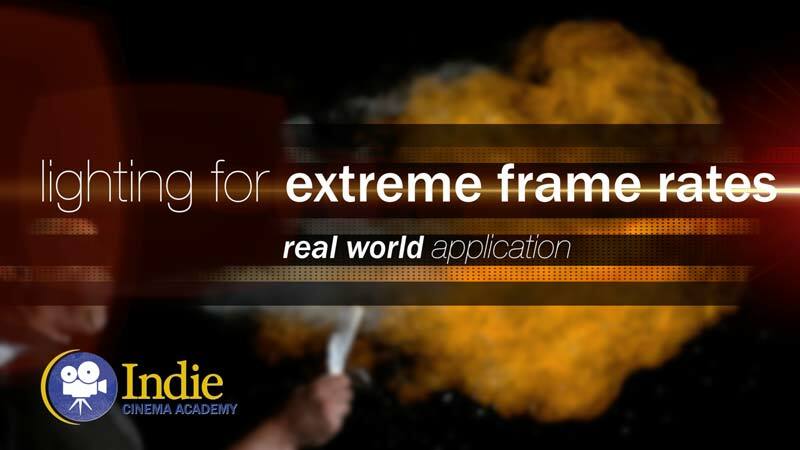 This process starts with choosing your frame rate, setting the trigger point, and pressing record. No surprise there. 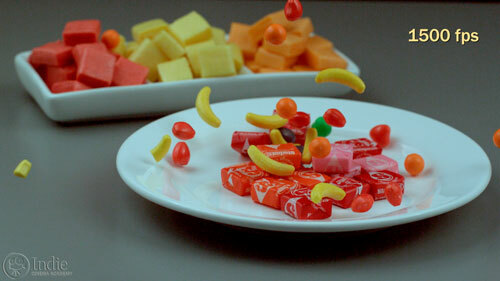 The difference when working on a high speed shoot comes once the footage has been recorded. Since the camera’s buffer has limited capacity, it is usually a good idea to review the shot, trim the footage down to the parts you want to keep, and then save it off to the internal or external storage. Pretty straightforward and simple. Nothing complex here. But here’s the catch those not used to high speed often overlook: the recording process for high speed is much more time consuming than a regular shoot. It isn’t just, “Shoot a three second shot and watch a three second shot play back.” Depending on the frame rate, that three second shot could last seven minutes! 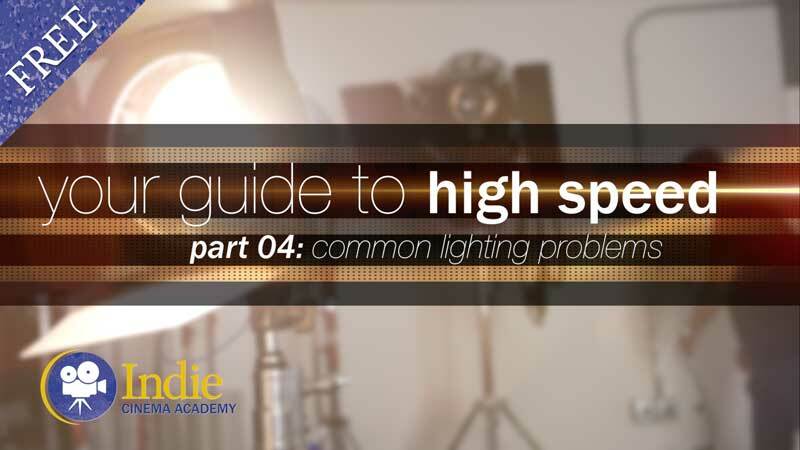 So you’ll want add extra time into your shooting schedule when planning out your high speed shoot. How much extra time really varies depending on what you are shooting, and how much playback you’ll be watching. Typically, I’ll plan on things taking 1.5 times to 2 times longer to complete than a regular speed shoot. But that’s my own personal rule of thumb. Post production may be the last step of the process for a high speed shoot, but in my opinion it should be one of the first things you think about, even before the day of the shoot. The format you shoot in will dramatically impact the difficulty of the post production workflow. Good news, though: technology is rapidly advancing so the post work is becoming easier and faster. And its constantly changing and improving. 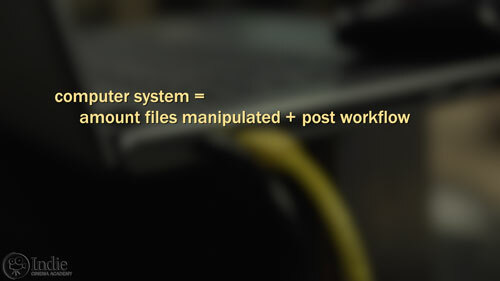 The biggest issue that affects the post process is the format that you have chosen to shoot in. If you shoot in raw you will get the highest quality images possible, and you’ll have the most flexibility in post. But that comes at the cost of speed. To process the raw files quickly, you need a fast and powerful computer. Don’t even bother using your laptop. What kind of computer system you need to use will depend on how much you are playing with the files and what your post workflow looks like. The good news is that there are several workflows to choose from. If you are working with a camera like the Phantom, you can download the software to work with the raw files directly from Vision Research. 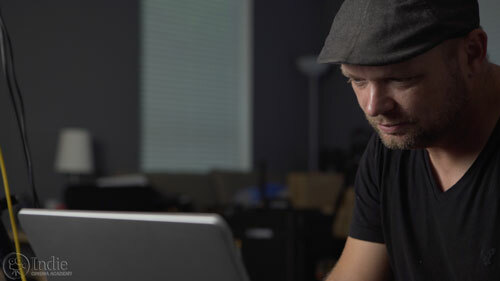 If that isn’t your style, you can use third party software like Glue Tools, Davinci Resolve, or even Adobe Premiere. Just make sure your computer has a lot of RAM, a powerful processor, and the best graphics card possible. If you are looking for the fastest, and easiest post workflow, and you don’t need 100% flexibility with the footage because you know you’ve shot it correctly, then I’d suggest either recording the footage in a compressed format like ProRes, or converting the raw files to ProRes prior to editing. 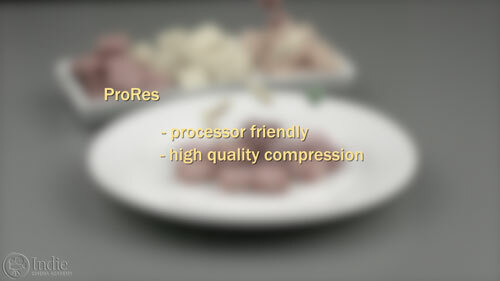 ProRes is a lot less processor intensive and still allows you to get great looking images all the way through to delivery. So if you are stuck using a slower computer in post, then ProRes may be your only realistic option if you have a tight schedule. So as you can tell, shooting at high speeds doesn’t have to be a dark art. As long as you schedule for and plan for the additional considerations like black balancing, playback and triggering your camera, you should have a successful shoot. Again, I’d like to thank Daniel and Via Films for helping us make this series a reality. Without his ingenuity and creativity, it just wouldn’t have happened. If you haven’t done so already, I highly encourage you to jump over to his site and check out his work. So what stood out to you about this lesson? Was there a new concept or idea you hadn’t thought about before? Or is there any tip or trick you’d like to add? Let me know by leaving a comment below. And as always, if you have any questions, ask away, and I’ll be sure to respond.